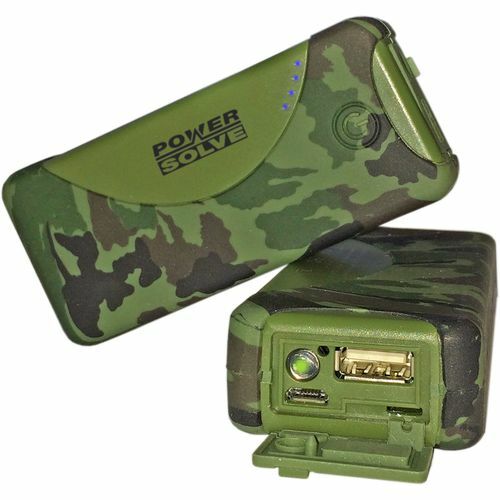 Compact water and shock resistant, with 5,200mAh lithium battery. Can charge typical smart phone 2 times or more. 5V 1A USB output can charge mobile smart phones, digital cameras etc. Suitable for outdoor use where a more rugged product is desirable. A four LED display shows battery charge condition. Also features a convenient push button LED torch. Input and output connectors protected by rubber covers. Rugged high impact plastic and rubber case measuring 100 x 47 x 24mm.